Hunting Bobcats during the daylight with one of the best bobcat hunting guides in the world. 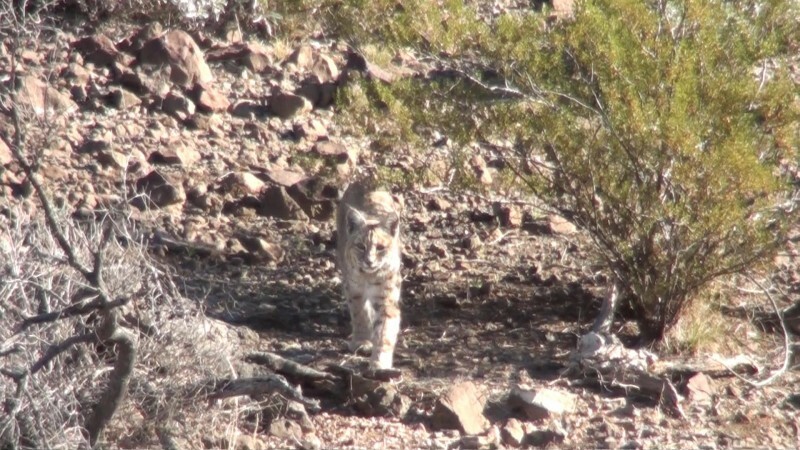 Watching a bobcat coming to the call during daylight hours is something special. 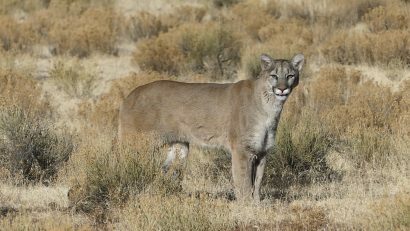 In Arizona, we are extremely blessed because we hunt and guide in an area which bobcats thrive. 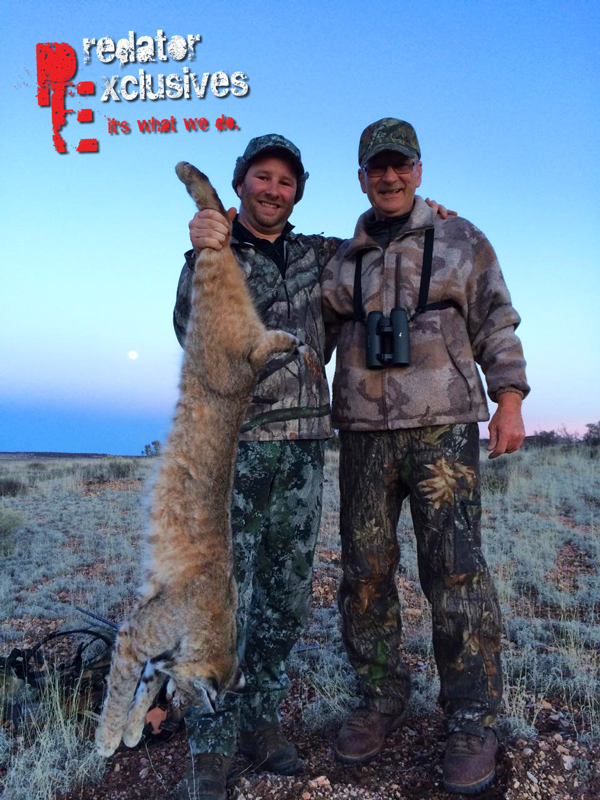 We are one of the the best bobcat hunting guide(s) in the world and we have the proof to back it up. 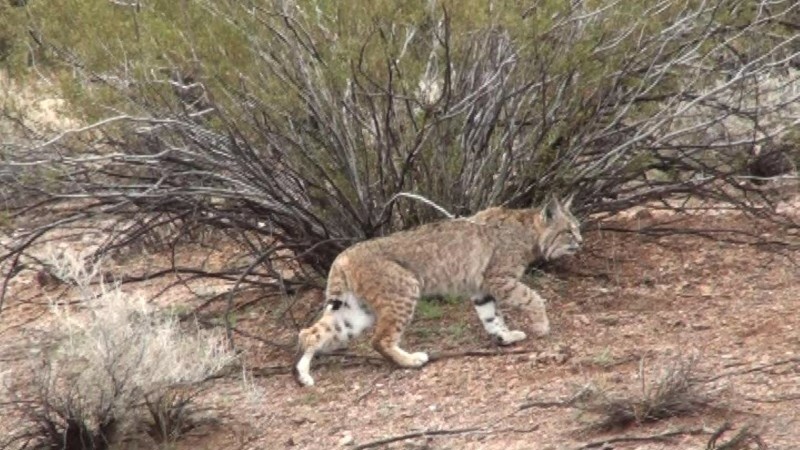 Ian Chappel came out to Arizona again to get a bobcat. 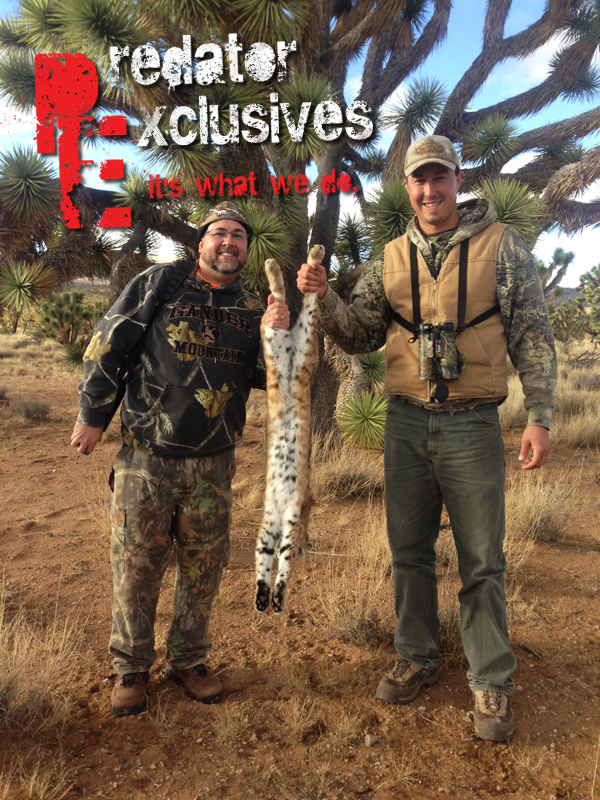 Being one of the best daylight bobcat hunting outifitters is something we take great pride in. 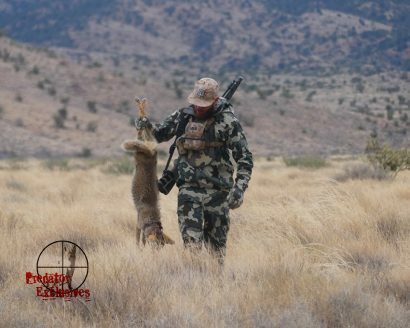 Many novice predator hunters will go their entire predator hunting career without calling in a single bobcat and we do it quite consistently with our hunters. 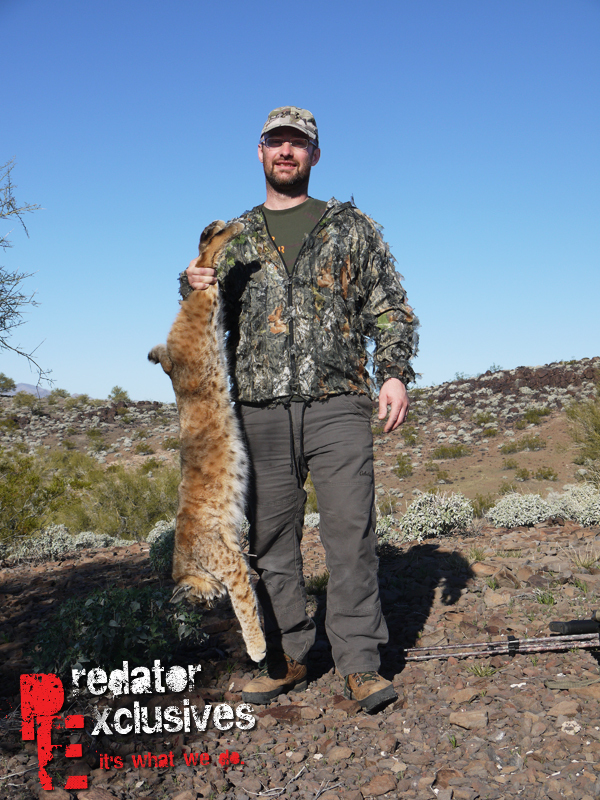 Brian and Predator Exclusives’ guide, Chris Chavez, with Brian’s bobcat. 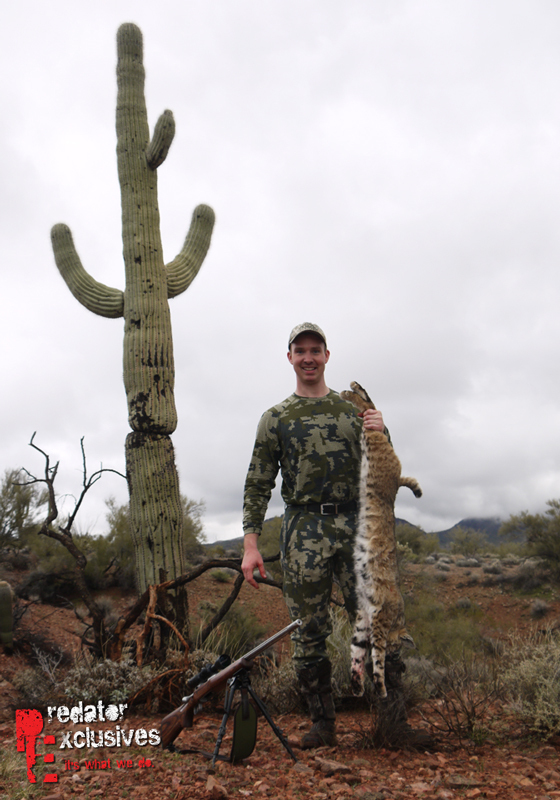 Bobcat Hunting Guides in Arizona, offer the best daylight bobcat hunting experience possible. If you are interested in hunting bobcats with one of the best bobcat hunting guides/outfitters in the world, please make sure you get a hold of us soon. We have already begun booking for the 2015-16 Predator Hunting Season and we anticipate being booked full by September.